In the market for an expensive and impractical high-performance sports car? Is a Ferrari or Lamborghini too ordinary for your tastes? I have great news: McLaren, the British race car maker, now has exotic sports cars that ordinary people can drive on public roads. McLaren has been doing this for a few years. But, based on my experience driving them, most people still haven't heard of them. ("They make baby strollers, right?" I get asked.) The big news is that you can now buy a McLaren for less money. Well, maybe not enough less but, indeed, less. Up until last year, the most affordable McLaren model was the McLaren 650S. Starting price: roughly $265,000. That is, without question, a whole bunch of money. But, last year, McLaren unveiled the 570S, which can be had for a mere $185,000. Now, you'll save $80,000, but you won't get everything you'd get in the more expensive car. 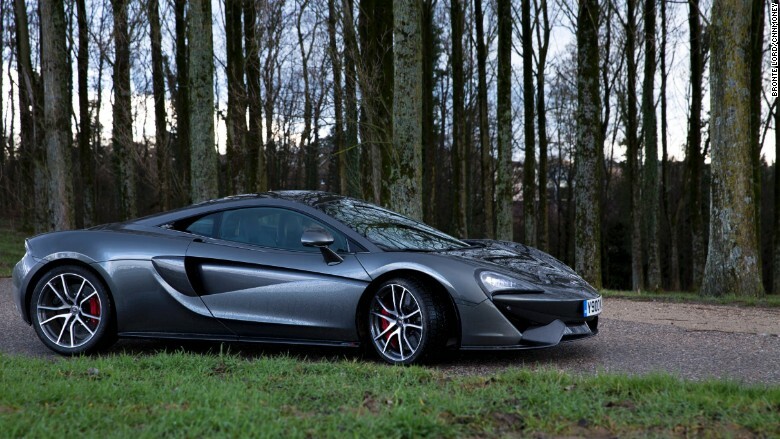 While the McLaren 650S has a body made entirely of very expensive carbon fiber, the 570S is made mostly from aluminum. 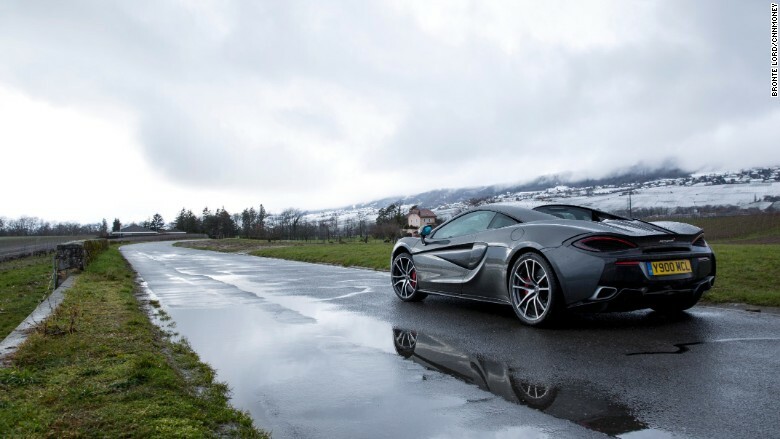 The 570S also a less-fancy suspension system, which, while very sophisticated in ordinary terms, is relatively straightforward compared to the 650S's active hydraulic suspension system. Finally, the 570S does not have "active aerodynamics" like the 650S does. In other words, it doesn't have that big wing in the back that moves up and down depending on how fast you're going or how hard you're stopping. Things just stay where they are. That's OK. As you can probably tell by looking at it, the 570S is pretty darned aerodynamic just as it is. Oh, and there's the horsepower. The turborcharged V8 in the 570S makes 562 horsepower, 79 less than in the 650S. In real life, you won't miss it much. I've driven the 650S before and it's a terrific car. I have now also driven the 570S a couple of times. The first time was in Switzerland and, as it happened, the weather was lousy. I was driving on lovely winding roads through vineyards by the Alps on roads that were covered in a slippery mixture of rain and melting snow. It would be bad form to scoff at driving a sports car in Switzerland -- not really a bad day at work. But this just wasn't the ideal scenario for finding out, as they say, "what this thing can do." Fortunately, I got another opportunity back home in New York to drive a 570S for a few hours on familiar dry pavement. 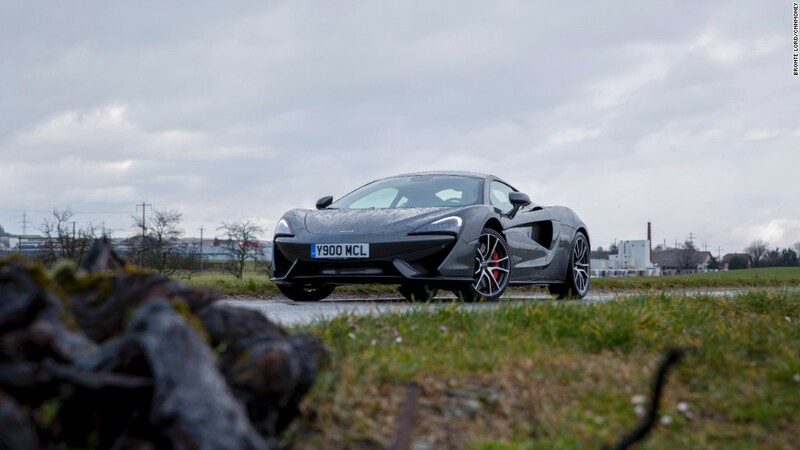 What I learned was that the McLaren 570S is, true to the brand promise, an outrageously fun car to drive. It's like the high-speed Go-Kart of your childhood dreams. Everything about it is quick and direct. Acceleration, from any speed to any higher speed, is always immediate and blasting. The seven-speed transmission, even though it's an automatic, makes you feel directly connected to the engine and the road. The steering allows you to feel everything the car is doing while keeping you firmly in control. The only real weak point I found -- and the cars I drove were pre-production models that, I was warned, might not feel quite right -- was the brakes. They didn't provide enough sensation through my foot and needed a good shove to really grab hard. Seat comfort, at least for me, was also an issue. The car I drove was equipped with $9,000 optional carbon fiber sports seats, which allow buyers to gain optimal driving posture at the expense of blood circulation in the lower body. So, save $9,000 and get more comfortable seats. The behavior of the suspension, the engine and the transmission can be independently set. So it's up to you how stiff you want the ride and how violently you want the movements of your right foot transferred to the wheels. Basically, the McLaren 570S drives the way you really want a sports car to drive. Or at least the way I do. And it looks like nothing else on the road. Personally, if I had the money to spend, I'd be waiting for the McLaren 570GT, a recently unveiled version with more comfort and added luggage space. I'm thinking road trip.